Woolmers Estate is listed on the World Heritage List of 11 Australian convict sites, along with other sites such as Port Arthur and the Hyde Park Barracks in Sydney. Although not as well-known as other Australian Convict Sites such as Port Arthur and the Hyde Park Barracks in Sydney, at Woolmers Estate you can sleep where our convict ancestors slept and deepen your first-hand experience of Australia’s convict history. We have taken six of our historic cottages and turned them into 3 ½ star quality accommodation with modern conveniences while keeping the authentic feel of the 1840s convict era. This unique self contained colonial accommodation overlooks the meandering Macquarie River in Tasmania, treed farming land, ever-changing scenery and mountainous backdrop which come together to create a memorable experience for visitors. Coachmans Cottage sleeps six people and has three upstairs bedrooms, the first bedroom has a queen bed, the second a double bed and the third has twin beds. Relax in the very comfortable sitting room of this charming cottage. The open fire and fully fitted kitchen, washing machine and dryer make it ideal for a family, or traveling companions. 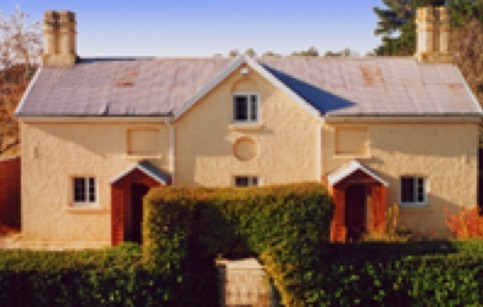 The self contained accommodation is a short stroll to the Rose Garden. 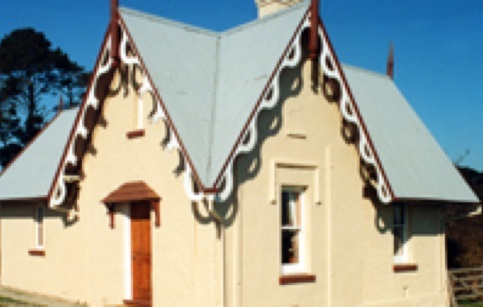 Coachmans Cottage was built in the 1840s to house coachmen. It appears it was designed to house two families in attached dwellings. The design of the coachman’s cottage continues the picturesque theme of the main house and stables but is much more simple in its detailing reflecting its lesser importance in the hierarchy of the estate. It does, however, give an insight into the status of the coachman compared to the other workers’ cottages. The Gardener’s cottage sleeps two people and has one bedroom, with a queen size bed and is on one level. It was restored and opened in 1998 with fully fitted kitchen, recommended for honeymoon couples. This lovely cottage is private self contained accommodation. 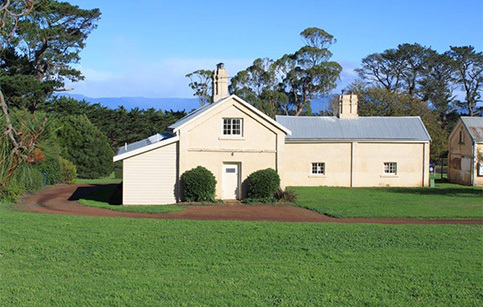 The Rose Garden Cottage was part of the 1840s convict building boom at Woolmers. It was built in Gothic style to be a picturesque element to the landscape on the drive between Woolmers Cottage and the main house. There have been a number of alterations to the cottage relating to changes in occupation. None of these have changed the basic form of the building. It seems to have been occupied as late as the 1930s. Similarly furnished self contained accommodation, with bathrooms and kitchens added to original sitting rooms, DVD players and upstairs, loft-style bedrooms, they are situated in blocks of two. These Farm Workers’ Cottages were built in pairs, by convict labour, around the 1840s when the estate was at its most active, to provide simple accommodation for the Free Settlers. The cottages have stone foundations and were built from bricks made on the estate.